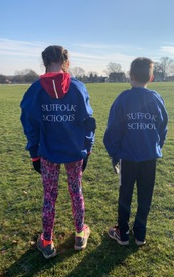 On the 2nd of February 2019 we (Bella and Max) took part in the Anglian Schools races representing our county, Suffolk. The Anglian school is an event with ages ranging from 10 to 19. We had to get through 3 rounds to qualify for this final race and we did very well considering we were the youngest in our race, the oldest people in our race were 11-12. 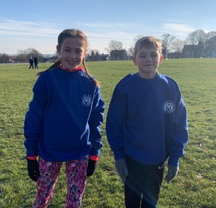 Bella’s race was 2500m long and Max’s race was 2900m. Both courses started with a downhill followed by a steep uphill. Then Bella went right and did an extra bit but Max went straight down onto the field we started on and did 2 laps of the field then finished. Bella started in the same place but after the first hill they cut off into a different field. Once she’d done that she started running the same course again, they all ran through the woods then round a big field. 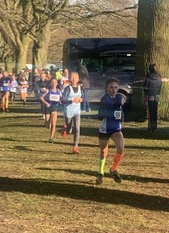 Once they had got round the field near the start the girls cut into the finish when the boys had one more lap of the field to do then they went through the finish. 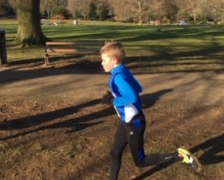 We both did really well-Bella finished in 6th place with a time of 9:37 and Max in 48th place with a time of 12.43 . It was a great day and a fantastic experience. We can’t wait until next year!